The only thing I know for sure is that the act of forgiving is fluid and active and can change from day to day, hour to hour, depending on how you feel when you wake in the morning or what triggers you encounter during the day. 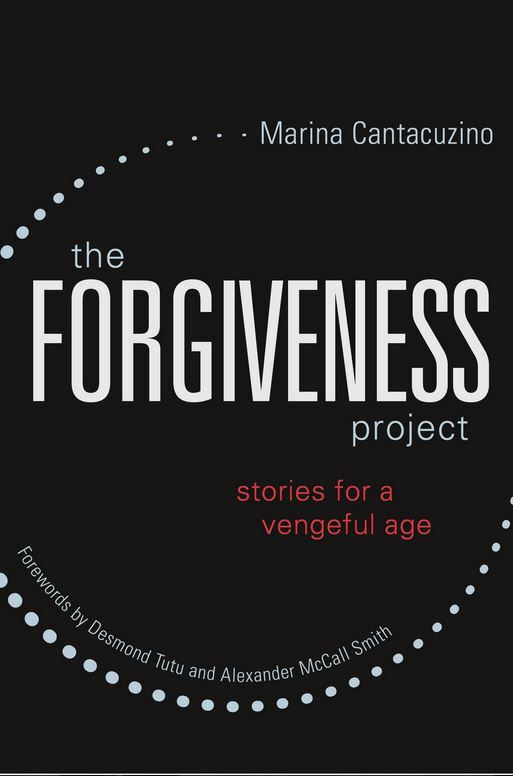 Following her essay are forty personal narratives about forgiveness written by people who have forgiven, have been forgiven and are struggling with forgiveness. It is a hard read because every story begins with pain and describes a struggle that may or may not be resolved. Forgiveness is a process that helps to relieve the pain of broken relationships, with others and oneself. Forgiveness is both social and intensely personal and the stories that range from childhood abuse to people involved in genocide demonstrate the importance of allowing people to tell their own personal stories of forgiveness. Like forgiveness, patient-centred care means different things to different people and can change from day to day. It involves suffering, and is a process, which is also a struggle. It means very different things to the parents of a new-born baby on a neonatal ward, an athlete with a broken ankle, the husband of an elderly woman with moderate dementia, and a fifty year old businessman with seven different medical conditions and fourteen daily medications. Forgiveness can be hard for those who are giving and receiving, for example one story is told by someone who accidentally ran over and killed an elderly woman and was unable to forgive herself. Healthcare professionals who harm patients in the course of their practice sometimes find it very hard to forgive themselves and are known as ‘second victims’. While there is a widespread and growing recognition that patients suffer from a lack of patient-centred care, it is less often recognised that it is deeply frustrating for those of us who want to give patient-centred care, but cannot. One contributing factor to burnout among health professionals is when we are moved by another’s suffering and recognise what needs be done to help, but are prevented from doing so, usually by time and resources or organisational factors out of our control. Some of the conflicts felt by doctors and medical students who are unable to provide patient-centred care were revealed in a study by Katrien Bombeke titled, “Help I’m losing paitent-centredness!” In common with other studies showing a loss of empathy through the years of medical education, she showed that medical students found it increasingly hard to sustain the patient-centred practice they aspired to because there was so much more than their patients to attend to as their responsibilities increased. There are inescapable conflicts between the need to take a focussed history and make an accurate diagnosis in a timely manner in a busy clinic and the need to be more patient or person-centred. We have to be at the same time objectively diagnostic and subjectively therapeutic, often combining both in a single consultation, for example, when faced with a patient presenting with new symptoms on the background of complex, chronic multi-morbidity. Medicine is not solely a technical activity and pursuit, medicine is about understanding and being with people at the edge of the human predicament. Caring for somebody is a transactional activity, where they do things to me. Everything I’ve had done to me has been excellent; there hasn’t been a single mistake, I’ve been seen on time, transactionally the place has been outstanding. It’s the relational care where I think the experience has been less than satisfactory. It is clear from clinical practice that doctors need to be both diagnostic and therapeutic at the same time. A urinary tract infection might be easy to diagnose, but patient-centred care requires doctors to recognise and respond appropriately to their patients’ concerns, ‘Could it be something I caught from my boyfriend? Could I give it to my daughter? Is it because of something I’ve done? Will it damage my kidneys? Could it make me incontinent or harm my baby?’ ‘Do I really need to take antibiotics?’ Recognising that concerns like this even exist requires that we establish a relationship of trust so that our patients can ask the kinds of questions they are afraid to ask because they might feel embarrassed or guilty. The potentially confessional nature of even the simplest consultation demonstrates doctors’ pastoral power in which we bear witness to what may be guilty secrets. Handled respectfully and skilfully this can transform a simple consultation into something genuinely empowering for patients and satisfying for doctors. It is easier to be patient-centred when you are trained that way. I wasn’t. Patient-centred care was not a phrase I heard at medical-school in the 1990s and I suspect that the majority of medical professionals have had no specific training in patient-centred care. In medical education in the UK basic attempts are made in communication-skills training. Bombeke found that medical students were able to draw on their communication skills training, but it did not translate well between medical education and clinical contexts. In the post-graduate GP curriculum, communication skills may be treated by strategically minded students as hoops to jump through or tricks to perform to get through an exam, rather than a core value that underpins their practice. They conflict with other necessities, like diagnostic-skills, time-keeping and the demands of guidelines, targets and incentives. Patient-centred care may be reduced to rote questions, “what are the patient’s ideas, concerns and expectations?” and ‘shared decision making’ becomes a matter of telling the patient everything we know, and asking them what they want to do. After a while, so many so many patients reply, “I don’t know, what do you think?” that we sink back into a benevolent paternalism. The benevolence shouldn’t be underestimated. In my experience, the vast majority of doctors who have little idea about patient-centred care lack neither kindness nor competence. Patient-centred skills of narrative humility, epistemic justice, values based care and shared decision-making can be taught, but they take time, patience and expertise. Atul Gawande’s four questions are a simple and useful start; What do you understand? What matters most to you? What are you most afraid of? And what compromises or risks are you willing to take? Time required to teach sophisticated communication skills is contested by many who think time would be better spent on teaching statistics or anatomy. Patient, person or relationship-centred care? Good health depends on us having healthy relationships in three areas; with people (including carers, family, colleagues etc. ), materials (including the built environment and the ‘stuff’ around us) and organisations (including systems, pathways, lines of communication etc.) The importance of healthy relationships has been highlighted by a recent report from Relate, a short book called Humanising Healthcare and longer book called Intelligent Kindness, Reforming the Culture of Healthcare. What they share with a growing literature on empathy and compassion in healthcare is the understanding that the way we treat patients is a reflection of the way we, ourselves are treated. In Bomeke’s study, she discovered that medical students who sustained patient-centredness were those who experienced student-centred relationships with supervisors who spent long enough with them to get to know them. There is a simplistic, politically useful conception of power as something akin to a football that can be passed between patients, professionals and organisations. According to this view, professionals and organisations refuse to share power with patients because of vested interests. The policy implications that follow from this are that professionals and public healthcare institutions need to be disempowered. One problem with this view is that by any measure the NHS is not centred on the needs of professionals. A lack of time even to attend to basic bodily functions combined with a culture of bullying and fear, rising levels of staff sickness with stress and mental illness, all point to an organisation that is anything but centred on the needs of its staff. If there is any validity in the conception of power as a football on which attention is centred, it is that a great deal of damage is done fighting for possession. There is no avoiding the power differential between someone rendered vulnerable by illness and a healthcare professional who is there to provide care and support. Those who would use patient-centred care as a political tool to undermine professionals are often driven by their own vested interests. Optimally efficient health production depends on a general shift of patients from their traditional role as passive or adversarial consumers, to become producers of health jointly with their health professionals, in an essentially co-operative rather than competitive public service. It is easier to be patient-centred when I know my patients. Continuity of care enables me to learn about my patients’ lives and gives my patients time to discover how I think, what I care about and what I know. For patients with long-term conditions, especially with a troubled history, it is upsetting to have to tell their story to a never ending series of strangers. Continuity of care allows trust to develop. Max has been my patient for the best part of a decade. I know his wife and children and I looked after his father during his final illness and his wife during her pregnancies. After about two years of careful negotiating he decided to have his kids vaccinated. Caring for patients as ‘persons’ – people with a history and a social network, takes time over which relationships can develop. It is possible to do a lot more in the NHS to facilitate continuity of care, but factors like shorter, more intense shift work, militate against this. The vast majority of healthcare professionals long to be rewarded for finding out what matters to their patients and helping them. If what patients need lies outside their professional expertise, they want the people and the organisations around them to be competent, efficient and patient-centred and they share their patients’ frustrations when they are not. In these very stressful times, patients and professionals are in great danger of blaming each other for being indifferent to each-others’ needs. I believe that what patients and professionals want, and need is surprisingly similar. It is possible for NHS care to be much more patient-centred if we pay much closer attention to what we have in common and work on the healthy relationships and therapeutic partnerships that are good for us all.